Sometimes, short getaways are necessary to help us decompress, especially with the many stresses of daily life. With beautiful nature and great shopping, Bandung makes for a great holiday destination for short weekend vacations with your family! There are lots of good & cheap hotels in Bandung Indonesia that let you enjoy the city without burning a hole in your pocket. Grab a travel buddy and book your stay at these hotels which offer some of the best deals in Bandung! 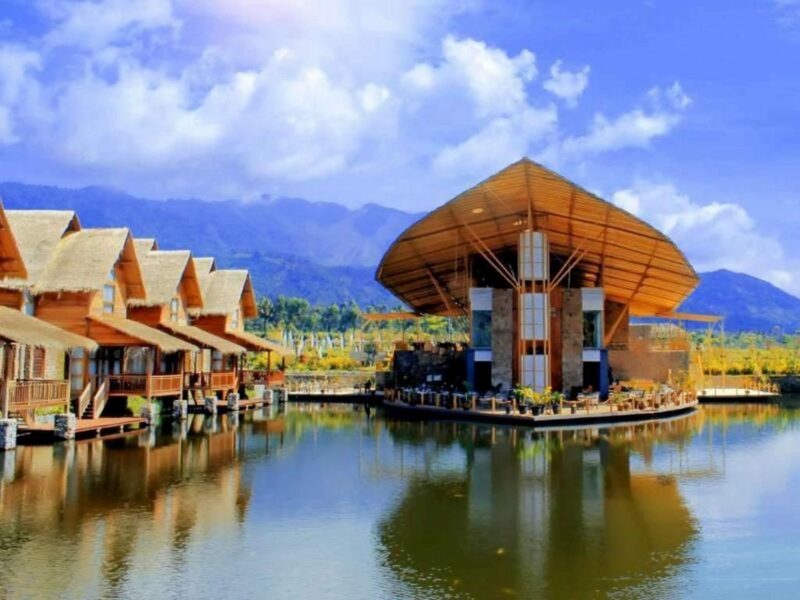 Take a breather away from the hustle and bustle of the city when you stay at Kamojang Green Hotel & Resort! The hotel is located in the tranquil surroundings of Samarang, and 7.8km away from the Gunung Guntur volcano – perfect for nature lovers who want to explore Bandung’s natural surroundings. Featuring a beautiful pond and surrounded by flourishing foliage, this hotel is perfect for those who want to get away from the stresses of city life. Tama Boutique Hotel is conveniently located, just 3km away from the airport. Pasar Baru Bandung, a popular shopping destination, is also just 1.6km away from the boutique hotel. 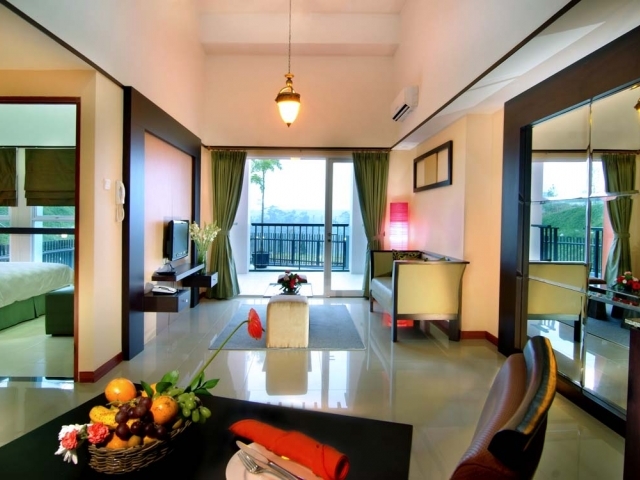 Its great location makes it both an accessible accommodation and one for the shoppers. With a stylish bar, restaurant and Korean theme, this boutique hotel ensures a unique hotel stay experience. 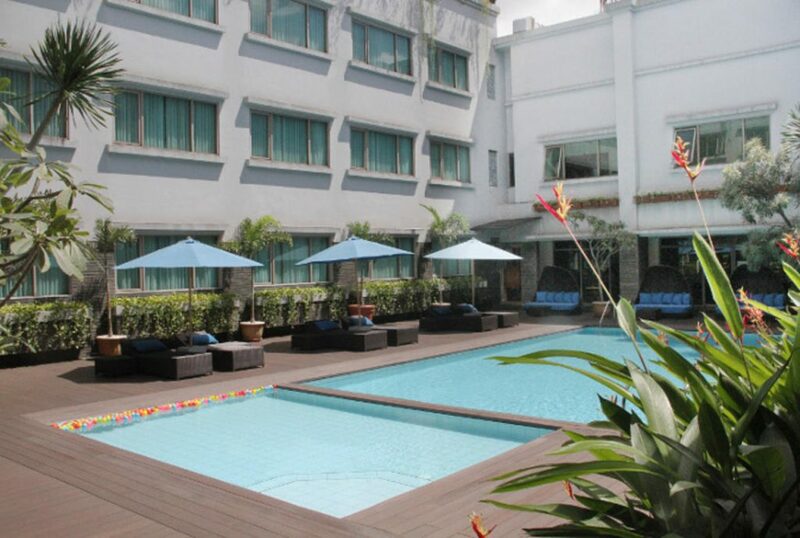 Located in Dago, a popular tourist area, this hotel is great for those who want to explore the highlights of Bandung! Nature lovers can easily access the natural wonders of Dago, such as the Tebing Keraton forest and the Curug Dago waterfall. With modern interiors and furnishings, the hotel is promises a cosy stay. It also has an in-house cafe with the choice of an alfresco dining experience! 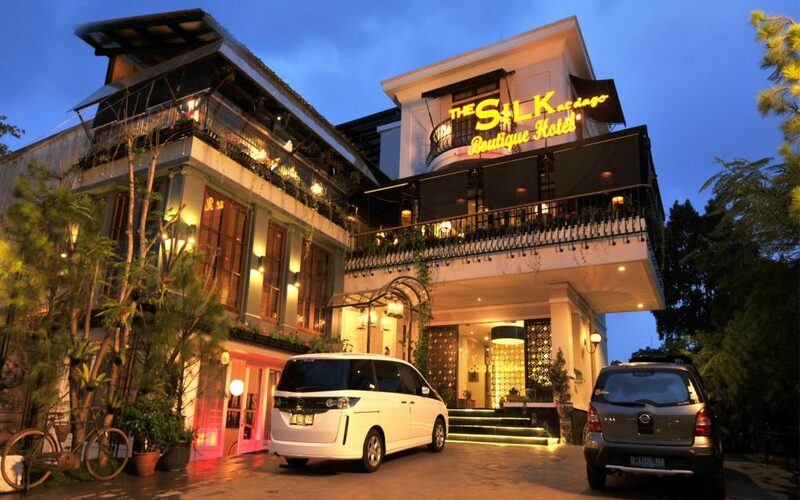 Situated just 4km away from the airport and only 3.2km from Bandung Train Station, this boutique hotel has a great location with easy access to the city! There are also many eateries and cafes nearby, making it the perfect stay for foodies who love cafe-hopping. The Scandinavian style furnishings and long windows of Beehive Boutique Hotel makes it look like it came right out of an interior design magazine! Additionally, the hotel also has a cosy little cafe and restaurant. Situated in close proximity to the airport and bus terminal, Ottenville Boutique Hotel has a convenient location. Easily access Bandung’s biggest malls such as Istana Plaza Mall and Sentra Jeans Cihampelas, and enjoy the many bars and restaurants which surround the hotel. 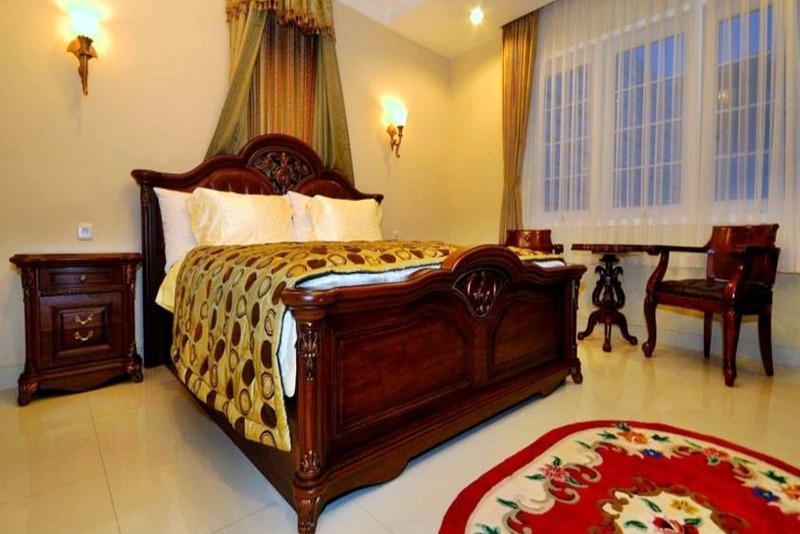 What’s special about Ottenville Boutique Hotel is its colonial style design and interiors. Stepping into the hote makes you feel as though you’ve entered a different realm! It has an outdoor garden that exudes a tranquil European vibe – great for those who enjoy some outdoor reading. Situated in Dago, Marbella Suites Bandung is the perfect stay for those who are looking to enjoy Bandung’s natural beauty. 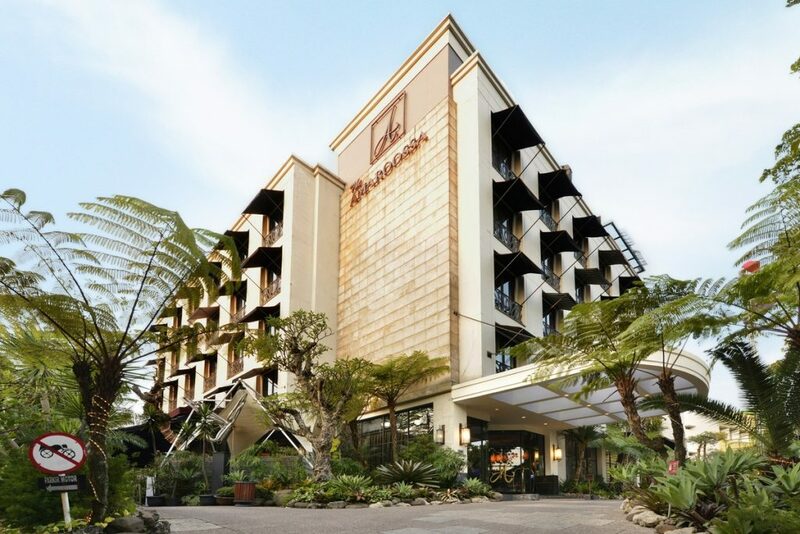 Dago is known for its lush foliage and beautiful natural surroundings, which makes this hotel a great choice for those looking to get away from the city. 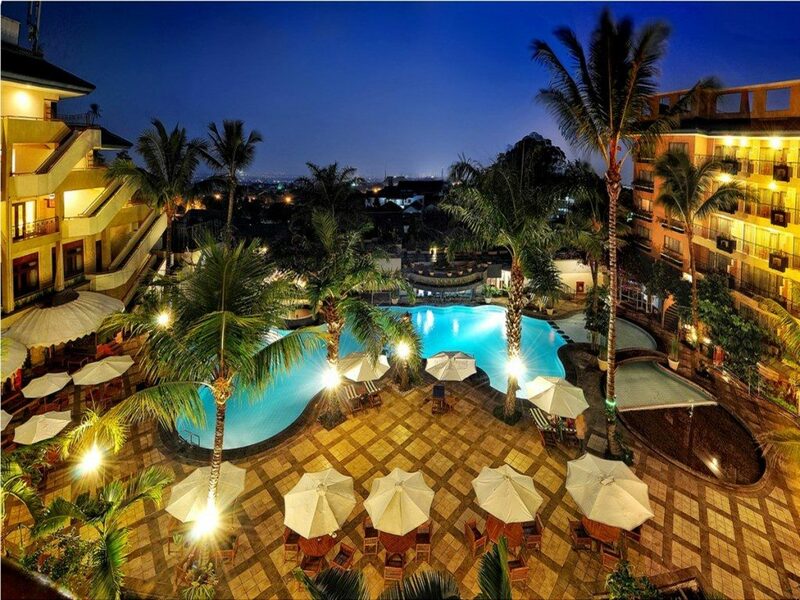 Additionally, guests who book a stay at this hotel will enjoy the jaw dropping skyline of Bandung! The charming landscaped gardens within the hotel also creates a tranquil environment for holiday goers. Surrounded by popular shopping attractions such as Pasar Baru, Saung Angklung Udjo, this hotel is located in the heart of Bandung’s shopping paradise! As you roam the streets, you can also catch the view of the Tangkuban Perahu Mountain which can be spotted from different parts of the city. If you like the established Aston brands, you can check try out their wonderful hotels on your next Bali getaway or other trips to Indonesia. With a swimming pool, lounge, coffee shop and restaurants, the Aston Braga is ideal for those who prefer to enjoy a relaxing holiday in the premises of the hotel. 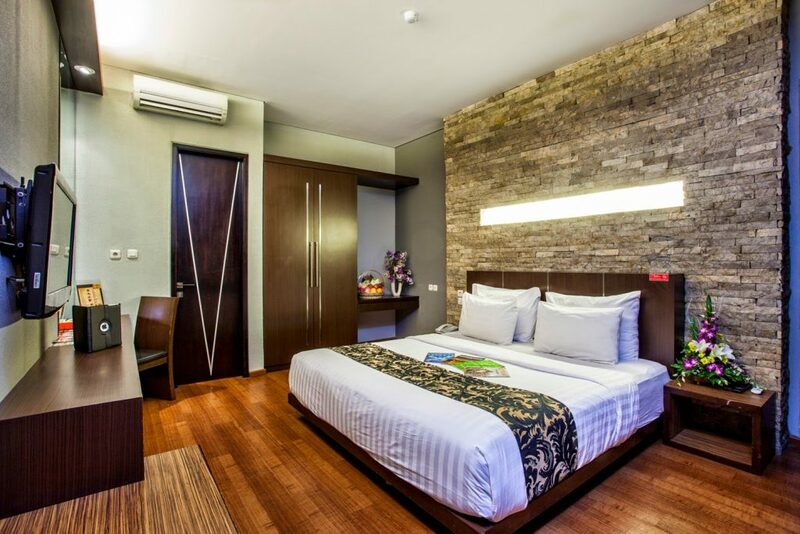 It’s both in our list of good & cheap hotels in Bandung Indonesia and also in Tripadvisor’s top Bandung hotels! Overlooking the Cihampels and Ciwalk, Aston Tropicana is another ideal stay for the shoppers! Both malls are popular attractions for youngsters, making it a great place to look for trendy items. Additionally, the Museum of Zoologi is also located quite near the hotel, an interesting attraction for those who are interested in nature and heritage. With an amazing outdoor pool and gym, Aston Tropicana makes a pretty good value-for-money abode for a weekend getaway in Bandung. Just 3.2km from Lembang, The Jayakarta Suites Bandung is situated closely to the highlights of Bandung’s natural beauty. Situated on a hill and surrounded by lush greenery, the hotel is perfect for those who want to fully immerse in nature. Featuring an outdoor pool and jacuzzi, gym facilities, children’s playground and restaurants, this hotel is great for families looking for a short retreat. Located in the heart of the shopping district of Dago and just a 20-minute drive away from the airport, this accommodation is great for city cats who love to shop till they drop! Popular attractions like Taman Budaya Jawa Barat, Dago Indah Golf, and Dago Pakar are just a walking distance away, making this one of the most accessible stays in Bandung. 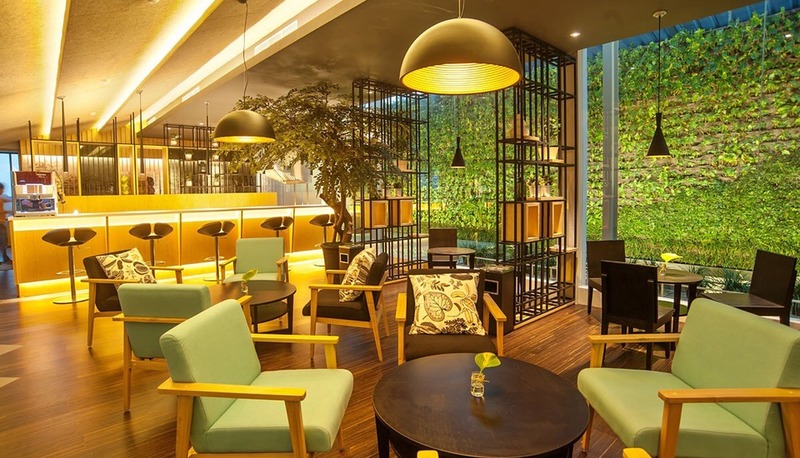 This stylish hotel in Dago offers a cosy space for holiday goers. With spa, massage and in-house bars and restaurants, you’ll definitely enjoy a therapeutic stay at this hotel. 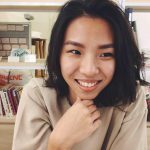 The unique modern interiors are also rather picturesque and makes for great insta-worthy photos. Located in the downtown, D’Batoe Boutique Hotel is situated amidst the excitement of city life! 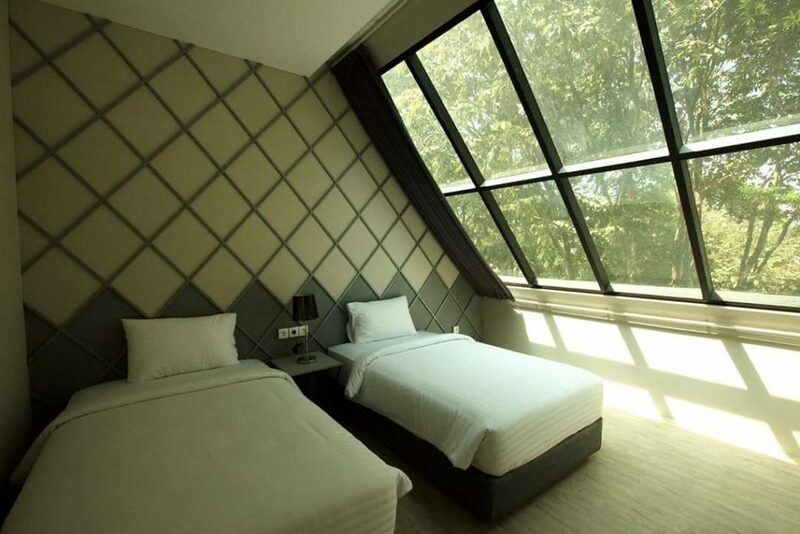 With lots of bars, restaurants, and major malls such as Istana Plaza around the corner, this boutique hotel is a great choice for those who want to explore Bandung’s city. With beautiful modern interiors, KTV, and also spa facilities, you’ll definitely enjoy a fun and relaxing vacation at this hotel. Just a five-minute walk away from popular factory outlets, Amaroossa Hotel Bandung’s prime location makes it an ideal stay for those who are looking for some retail therapy. Besides shopping, you can also have easy access to the Geology Museum, which makes for an interesting educational experience! 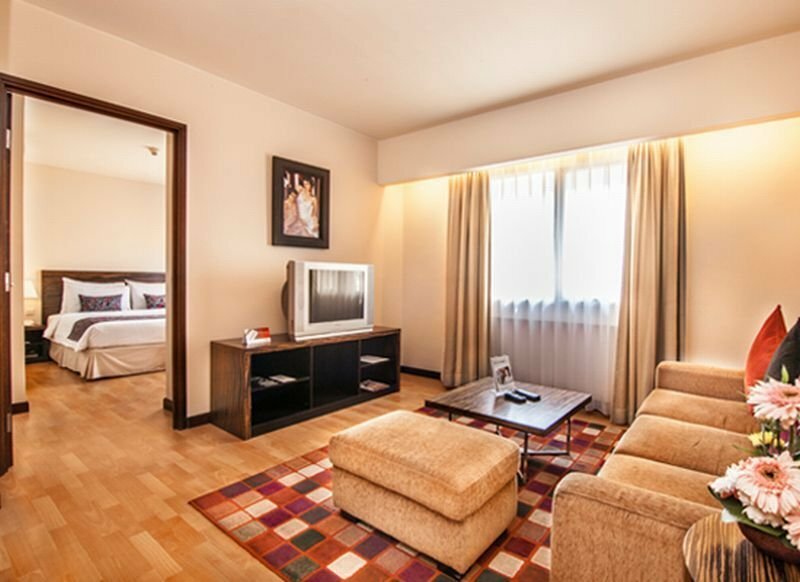 Choose between four different types of rooms when you book a stay at the stylish Amaroossa Hotel Bandung. With an outdoor restaurant, bar, bakery, spa, fitness center, coffee shop, swimming pool and salon, this amazing hotel has something to offer for everyone! Besides making it to our list of good & cheap hotels in Bandung Indonesia, it’s also one of the top Bandung hotels in Tripadvisor! Bandung is no doubt an ideal place for a short trip with your family and loved ones, especially with so many value-for-money a.k.a good and cheap hotels in Bandung Indonesia to choose from! Choosing the right place to stay makes a great difference to the overall experience of your holiday. With great services and facilities, you will definitely have a fun and memorable vacation.